There are many variations of Great Danes you can buy today. In terms of color variety of their coat during a show ring, the options you have are Great Danes that come in blue, harlequin, brindle, blue merle, chocolate merle, and fawn coats. Before you consider buying a Great Dane from CT Breeder, why not read this article below to know more all the essential info you need about them? Great Danes are some of the most athletic and sleek-looking dogs you can choose from. They get along quickly with humans, and they’re capable of surprising acts of courage. In fact, they’re some of the fanciest dogs out there that most people call them “the Apollo of Dogs”. Formally speaking, a Great Dane is called a Deutsche Dogge or sometimes German Mastiff, which is a name that came mainly from England. Although there are many historians who say these dogs don’t come anywhere but Germany, it’s still an enigma why they’re named after Denmark. Also, these dogs are originally bred for hunting wild boar and participate in the battle and even help in pulling carts. It’s also easy to claim that the Dane is more sophisticated than an English Mastiff. There’s also enough evidence to say that the Dane’s elegant physique may have come from its Irish Wolfhound blood origins. Some people even claim that it was the English Mastiff that’s the progenitor of such type of dog. Either way, it’s safe to conclude that the Dane descends from both types, and it’s a dog that stands out in grace and style. In terms of purity, there are many ethical Dane breeders that stick to a strict code of conduct to ensure the purity of the color lines of their coat. That means, fawn dogs are only bred to fawn and brindle varieties, while harlequins are only paired with harlequins. Blues are also only bred to blues. The code of ethics also demands that pedigrees indicate the pure colors for 4 generations. The difference between the two basically comes from their weight and style. A European Great Dane weighs more than the American one, which makes the American Dane look more sleeker and appear more slender. The American Dane also appears more graceful, but the European Dane appears more stocky in build. A good characteristic of a Great Dane is that it’s an ideal house dog. Although appearing active at first and requiring constant exercise, that doesn’t stop them from being agile and vigilant guards at night. The Dane is also ideal for children, but toddlers would probably find it a bit more challenging, especially with the toddler’s unsteady gait. It should also be said that these Danes can sometimes be overwhelming, even appearing aggressive to some other dogs. This is the reason why obedience training should be a priority for the owner. The training should be gentle, though: leash-jerking and other licentious methods may make the Dane distrustful and agitated. Overall, a Dane is a people-friendly dog, and although it needs more space to spread his large body and long legs, it wants nothing more than some fun personal time with their owner. There’s not much delicate care needed for a Dane’s coat. He can get cold in winter, though, so proper protection should be given. Some owners may even order sweaters for their Danes, and even give them a whole wardrobe. Also, like most giant breeds, Danes are prone to diseases. That’s why they should be regularly checked regarding bone cancer, heart disease, tumors and hip dysplasia. You should also remember that Danes that have cancer in their lines should not be encouraged to breed. You should also make extra allowance for your budget when you own a Dane. This dog requires a larger dish, a larger amount of food, and higher medicine dose when sick. It also costs a bit more extra when you neuter a dog as large as a Dane. One thing you should not forget before buying a Great Dane is the issue of puppy mills. Because of big money, many breeders are tempted to overbreed and resort to unethical standards. They breed Great Danes that are unhealthy. They abuse the puppies. They make sure that they only spend a little on their upkeep. You must do your best to avoid these breeders. Another thing to remember when buying a Great Dane puppy is that it has an average lifespan of 10 yrs. There are times when the dog will die on you in less than five years, and that’s going to be heartbreaking. That’s something you should prepare yourself for. That’s something you can avoid, though. Picking the right breeder can help, and making sure that you have all the details of the breeder will do wonders. It’s also essential to check the reputation of the puppy seller. It is also important for you to check if the breeder is honest. Go to your referrals. Ask your friends and trusted resources if the dog breeder you pick is trustworthy. One thing you should know about Great Dane puppies is that they’re just a few pounds at birth. They can weight more than a hundred pounds, though. Knowing the maximum weight could help you pick their home. Knowing how big they can grow, would prepare you, too. They can also stand to about 30 inches tall in just a single year, so make sure you’re ready for that. Another critical aspect of Great Dane puppy maintenance is the feeding. Avoid letting the puppy eat junk, and always give them high calorie and nutritious food. You can do this by making sure you give them their complete nutrition. Ask your vet about this, and consult your community of pet owners. It also helps to get a complete list of the diet that suits your dog. When it comes to training, it can also help to train them immediately. Train them while they’re still little by teaching them basic obedience methods. Also, know that Great Danes can be a train wreck. They can feel like they’re the cutest, but they’re so agile. They might be too active for you. So be prepared. The trick here is to practice how to keep your composure when your Great Dane behaves badly. You may also want to ask your trainer to help you. To get the most relatable and reliable dog trainer with you, you can consult the people you trust. The people you trust are usually your family and friends. Getting help from anyone online can cost you some risks, especially hidden ones. When you don’t know the person, you’re talking to, more chances of you being ripped off. Another thing that you should also consult with your dog trainer is the training regimen. A Great Dane puppy needs the right training, too. Getting the help from your vet on how to do this could help you train your dog yourself. Ask for tips from the trainers. Get their contact numbers. Consult them when you have problems. Before you buy a Great Dane, ask if the puppy has the right papers. Ask the breeder for the right documents. Make sure you verify them. In conclusion, a Great Dane is one of the most fun-loving, people-friendly and graceful dogs that you can pick as your companion. With the right training, care, and accommodation, owning a Dane will be one of the most rewarding decisions one can make in their lives. If you’re ready for a bigger budget for a bigger dog that can be your friend and also your home’s guard, then buying a Great Dane puppy at CT Breeder will be a good choice. 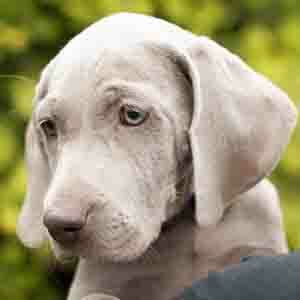 So why not visit CT Breeder and take care of a Great Dane puppy today? Call us – (203) 920-4950.